The new Lego movie is very funny, sending up all kinds of industries including Hollywood, Silicon Valley, Starbucks and brand advertising. Let's face it. The voice acting industry is awesome! So how long has Holland got? The videos from NASA are always interesting. I see my house - even this country - won't exist 100 million years from now. Assuming the computer predictions are right. Bearing in mind what's happening in Kiev right now, the Ukraine promotional campaign which ran on BBC World News in 2011 looks rather ironic now. Curious to see whether BBC World Service can come up with similar case studies to persuade advertisers to run spots on certain BBC World Service radio outlets. From the BBC Advertising website. Ukraine wanted to raise its global profile ahead of the Euro 2012 football tournament – both as a new tourist destination and as a place for investment. BBC Advertising developed an advertising campaign that enabled Ukraine to show what an exciting and dynamic country it is. Complement and reinforce Ukraine’s existing All About U campaign. BBC Advertising managed the creative execution of four TV commercials for Ukraine, covering culture, tourism, economy and investment. They were all filmed on location and in line with Ukraine’s wider All About U campaign. These ads ran 4,200 times worldwide on BBC World News with over 24 million ad impressions on bbc.com alongside editorially relevant content, including during the Ukraine Direct season on TV and online - reaching an engaged audience interested in learning more about Ukraine. Buyout of Ukraine Direct on bbc.com and bbc.com/travel and bbc.com/travel Ukraine destination pages. Once audiences were exposed to the ads on BBC World News or bbc.com, awareness of Ukraine significantly increased. Awareness was stronger on BBC platforms versus other media. The trailer for the new HBO comedy on Silicon Valley is out. Note the complete lack of girl geeks. 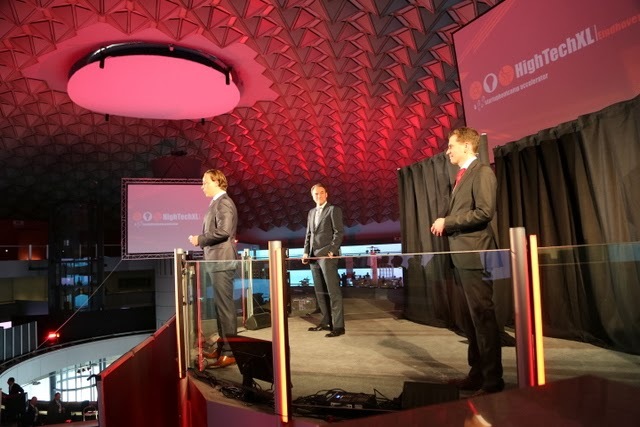 Just sorting through my photos from the Startupbootcamp HightechXL demo day. 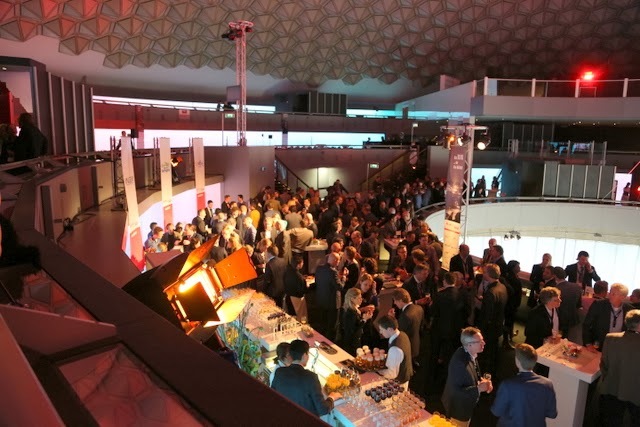 Ten young teams took over the Evoluon World Conference Center in Eindhoven, the city where 100 years ago the Philips company established its research and production centre. I've been following the progress of this accelerator for several months to learn how they do things differently in the South-East part of the Netherlands. Designed in the 60's, they've kept the insides bang up to date. The Evoluon is still a magic location. Dating from 1966, it comes from an era when people though the future was a bit like the Jetsons cartoon series. Frits Philips originally commissioned the flying-saucer shaped building, as a venue to share the story of science and technology, as seen through the eyes of one the largest electronics companies of its day. Today, the static exhibitions have long since gone, just as the era of "science museums". Evoluon is now a centre for very vibrant conversations. 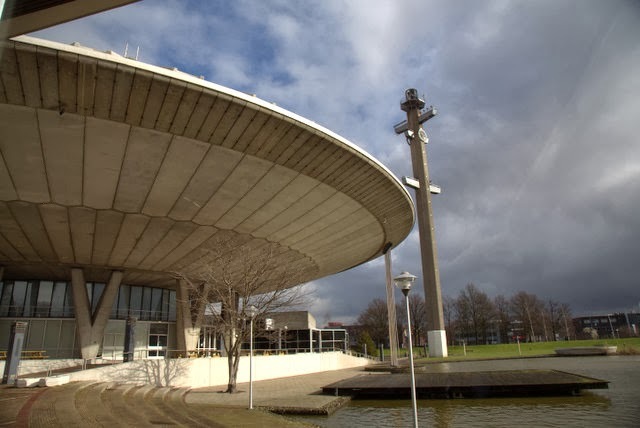 I really like the unconventional design of the Evoluon. Yes, there is a big stage in the middle. But there's also a side stage which actually gives a bigger impact with three levels of audiences on the side and down below. It works because the sound system in the place is crystal clear, so words have impact they deserve. Eindhoven has been home to the largest radio factory on the planet. Its also where international broadcasting started in 1925 and where the final push to liberate Holland from Nazi occupation began in 1945. The city is definitely where ideas are born. And the place keeps re-inventing its future. It has to. Because everything is changing at an exponential rate, especially in technology. I believe we've just witnessed the kick-off of the next stage for the region, as various ideas and plans come together from entrepreneurs, investors, government and academics. I think you need all four to make it happen. The question has been, who takes the lead? For many years, it has been left to government departments to operate incubators and stimulate innovation. It took rather too long for people to realise that the local chamber of commerce is not the place where entrepreneurs hang around to build a world changing company. The civil servants may know the rules of business, but they never tried to apply them to build their own company. I note that as from January 2014, the Chamber of Commerce has wound up its Syntens Innovation Centres. I believe that was the right decision. Entrepreneurs have replaced government in taking initiatives. One of the leaders is called Startupbootcamp HightechXL, the world's first accelerator dedicated to hardware startups. 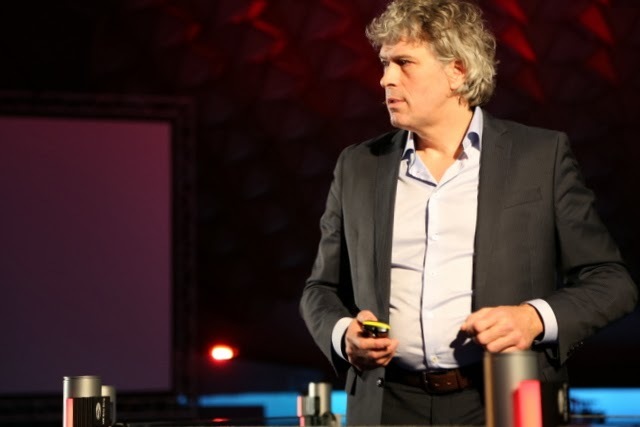 From offices on the Hightech Campus Eindhoven, the three founders Guus Frericks, Eric van den Eijnden and Patrick Gabriels have built a different formula to help high-tech startups. Because building a global business strategy for the realities of the 21st century demands a new approach. They have taken the lessons learned from great programs like Techstars, Singularity University, Business Model Canvas and the Lean Startup Methodology. But they have also shaped the program to match the very different needs of companies building hardware solutions to change the lives of millions of people on the planet. 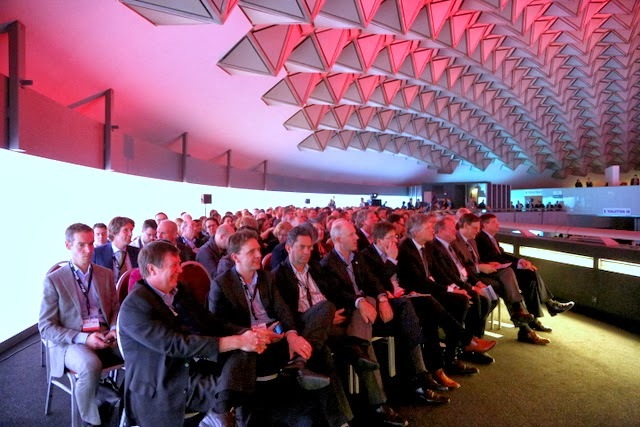 What did they alter in the HightechXL hardware accelerator? - The companies chosen for the program are further along their journey than the average web-app software company. You need to show you've built a working prototype - and that you are testing these business ideas with real customers. Hardware developers have a tendency to spend too long in the lab. And, as many discover, that can kill a brilliant idea. Because no business model has ever survived the first contact with customers. So fail fast, pivot, regroup, rethink and work on Plan B. - Access to capital. Forbes Magazine and the Financial Times have all recently spotting that the Dutch province of Noord Brabant (and Eindhoven in particular), have huge potential in the next five years. Eindhoven came third in the overall ranking of investment climates, just behind London and Helsinki. The city was the highest new entry for any city in the Netherlands. 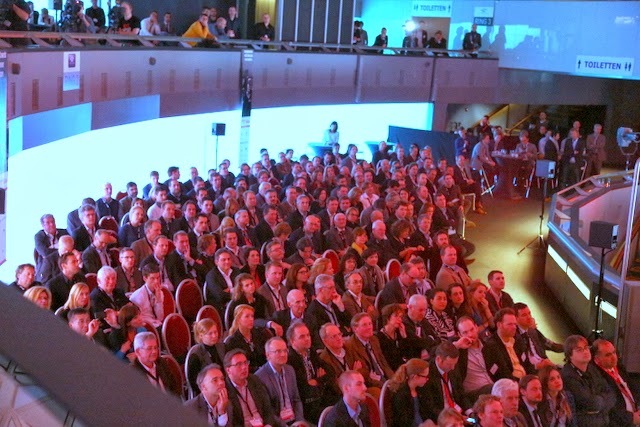 The teams at Startupbootcamp HightechXL were each raising between 1 - 5.5 million Euro. You can't do that with just a strong Powerpoint deck. So it was backed up with a detailed Investor Memorandum. As well as a technical prototype. That's more important than a glossy brochure these days. And that approach works. Some of those millions were put on the table as a result of the efforts in Eindhoven last Friday. This is an off-air recording made from BBC 1 in 1982 during the airing of a documentary on the work of the BBC World Service. This was in the days when transmissions came from Bush House. Keith Bosley, the first person we see in this programme was is also an accomplished poet. In November 2013 he came out with an audio book on 12 CDs a translation of the Finnish literary classic The Kalevala. Note the clips from Dave Lee Travis presenting A Jolly Good Show in part two. The BBC Somali service is one of the most vital lifeline services, still operational today. Douglas Muggeridge, the Managing Director of External Broadcasting at the time, mentions in the final part that their English lessons on television made a little money, enough to pay for the costs of production. Love the haircuts. Note (at 10'45") that Just a Minute was part of the World Service schedule. There were more feature programmes in those days. Will BBC World Service raise 8 million quid with adverts? BBC Global News wants to raise £8 million by putting adverts into various BBC World Service radio services, about 3.2% of the current BBC World Service budget. As from April 1st 2014, funding switches from the UK Foreign Office to the BBC Licence Fee payer in the UK. And that's where the quest for 8 million may be a false priority, especially when they have no experience in commercial radio. BBC World Service points to an experiment on the Berlin BBC World Service FM relay which carries short commercials in German a few times an hour. They haven't revealed what kind of revenue this is bringing in - but it can't be much. Latest accounts show that BBC Global News Ltd which runs radio, TV and online made a loss of £800,000 last year, with £21m of losses incurred by the UK operation being mostly offset by advertising and sponsorship revenues made overseas. So can they scale this across the range of language services at the BBC? I see some of the UK newspapers are already questioning the strategy. And Richard Sambrook, who used to be the Director of BBC News even argues that rolling news networks like BBC World News (TV) have had their day. What hope then for WS radio, which over the years has also turned into a radio news machine? I believe the chances of raising that kind of cash on speech radio services targeting older audiences are very slim indeed. Because advertisers in many countries are searching for their younger markets using video, not audio. Like the Icelandic Tourist Board, for instance. If they mean putting more ads on The BBC World Service language websites, then increased revenue may indeed be possible. That's because there's always a clear distinction between banner ads and editorial. And of course there are the pre-rolls which now pop up on every video news item you want. Problem is, I keep seeing the same ads all the time. I note that Turkish airlines is advertising heavily with BBC World News, the TV channel. I wonder what's going to happen if things flare up again in Istanbul. BBC Global News, which runs BBC WS Radio, World News (TV) and online lost 800,000 pounds last year. But you can't skip the ads on the radio. Speaking on a recent edition of the BBC World Service programme "Over to You", Mark Bunting of BBC WS Strategy, said that ads would only appear in "non-news content". He defines that as programmes on arts, history, sports, business and technology. That's all the feature genres on the BBC World Service. So far, I have looked to tech radio programmes like Click! on BBC WS as being free of commercial influence. Is that about to change in some subtle way? Will we see "native advertising", the new term for advertorials. The BBC World News channel has run into serious trouble with incidents in the past, like the Palm Oil documentaries they aired in 2011. The BBC World Service radio is hoping it can emulate NPR's underwriting/advertising model. But the BBC doesn't benefit from the ads run on local NPR affiliates in the US. It is already charging these stations money to carry certain BBC news programmes. 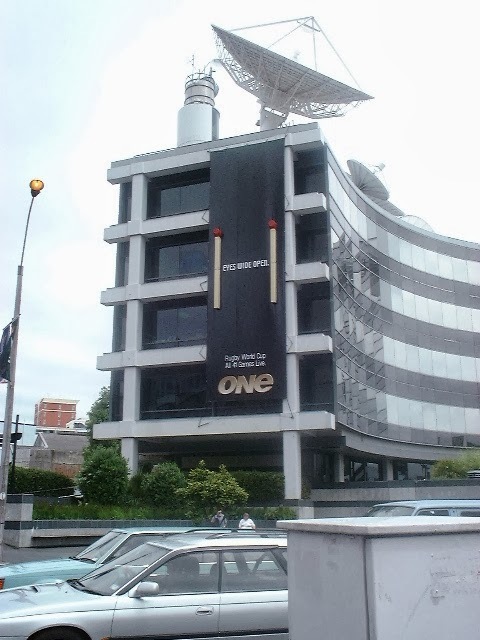 When it comes to other parts of the world, the BBC World Service relies on local re-broadcasting partners to integrate the BBC programming into their schedule. If they start charging a subscription or wanting split revenue, I expect some stations to look for free alternatives - in Africa, watch the rise of China Radio International. In countries like Tanzania, the evening TV schedule on national networks is already peppered with Chinese soaps from CCTV translated into Swahili. In the end, the BBC is not going to be able to compete with free. And if they start to take money out of local markets, expect commercial networks to put pressure on their respective governments, or even regard the BBC as a competitor rather than a colleague. And when it comes to the production of features, I'm seeing a lot of other production companies like DigitalRevTV are starting to produce equally good tech programming in their own niche networks. They dig much deeper than the BBC ever does. And they're reaching hundreds of thousands per edition too. I think the BBC needs to think about its global offering in a different, coherent way. 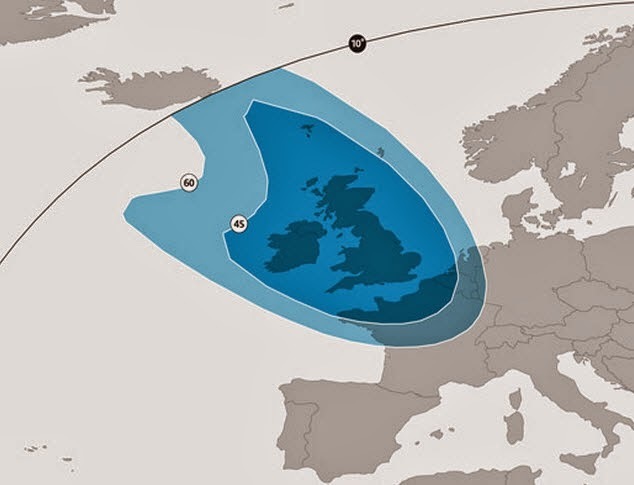 With the recent changes to its Freesat TV service for the UK, the coverage area has been considerably reduced. So why not think of a real on-line subscription service to BBC 1, 2, 3 & 4? We want the quality programmes - not endless repeats of old stuff. I'm convinced that the answer is to find a way to build a different World Service radio schedule in English that makes much better use of the resources inside BBC domestic networks. Then add programmes that BBC domestic radio doesn't do - those with a truly international perspective - and offer them back. Do this online as well as on the radio - it has to be a truly cross-media offering. They could build various thematic audio channels taking the best of BBC radio documentaries, drama, even classical music. In the end, this is soft power. What the UK is looking for is influence in foreign countries. The BBC needs to find fresh ways of explaining what it's doing in the 27 languages other than English, especially those languages spoken by some communities within the UK. Note how RFE/RL produces weekly briefings from the regions they serve. 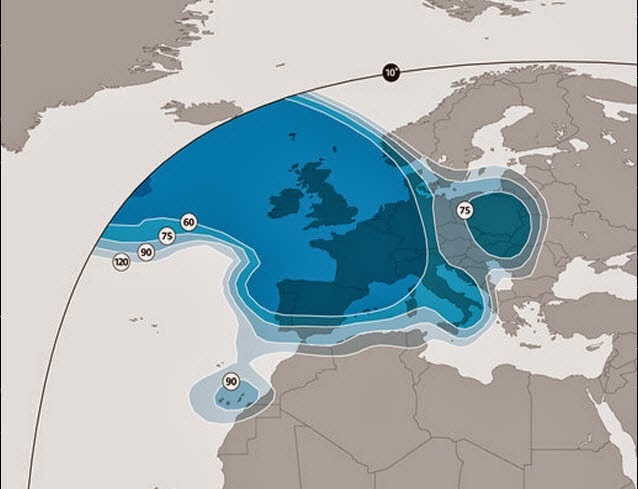 The new spot beam means BBC TV programmes no longer seen via satellite in Spain, Portugal, Southern France or Italy. I'm glad to see that the BBC World Service is to set up a foundation together with the family of the late Komla Dumor. His funeral took place this weekend in Accra. He died suddenly on Saturday January 18th 2014 from a cardiac arrest at his London home. He was only 41. The outpouring of tributes on Facebook, Twitter, as well as to the BBC website has been just amazing. Over 50,000 reactions. Google hangout streamed his funeral live this weekend for four hours. If you watch the TEDx presentation he gave in Euston about telling Africa's story, then you understand the power of great communicator. He was a great listener - and a brilliant storyteller. A report on Ghana Broadcasting Corporation, and on the family website, indicate that the family and the the BBC will work together to establish a memorial foundation which will, among other things, seek to promote excellence in journalism, with particular emphasis on broadcast journalism. This is excellent news because it means his work will continue. The foundation will also initiate programmes for the development of African youth as well as the education of children, including his own three children, Elinam, Elorm and Araba. I hope they get the support from organisations and individuals from across the continent. Because, as he points out in his excellent TEDx presentation, communication across borders is so important across the African continent. More people need to watch that talk! Lyse Doucet of the BBC gave a great tribute back in January. Here was somebody who looked for the light as well as the dark. And this is fitting tribute in song. Update: Very surprised few news media outside the UK seem to have picked up on this Ryanair flight from hell. They should make a song like Dave Caroll did when United Airlines broke his guitar. 13.7 million views to the original. Fascinating to watch how the Dutch government strategy to reform the Netherlands public broadcasting corporation (NPO) is starting to leak out. A report commissioned by the Dutch government is being put together by the Netherlands Council for Culture. They are due to report back by the end of March 2014. But already drafts have leaked out. And the existing "broadcasters" are not happy. That's because the plan seems to be to divide the current public broadcasting budget into two. 300 million Euro will go the incumbent broadcasters like the AVROTROS, BNNVARA, VPRO, KRO/NCRV, MAX. The other 300 million will go into a fund presided over by the NPO. They, in turn, will split this up into 5 genres, journalism, drama & documentaries, children's programmes, knowledge and culture/events. And "producers will be able to pitch directly for these funds". Currently, 16% of the public broadcasting budget goes to external production houses. So a jump to 50% is more than significant. It's unclear from the leaks whether the incumbent broadcasters will be able to pitch their programme ideas in the 300 million controlled by the NPO. I guess not. If true, then Holland is introducing a hybrid system as we have predicted here in various blog entries, a bit like putting the UK's Channel 4 and BBC side by side. And then the government can sit back to see which of the two systems generates the most "popular" programmes. Of course, the production houses need to make a profit, which may complicate things. What's crucial here will be the definition of "public values". This country is very successful in creating commercial entertainment formulae for quiz games, especially where most of content is generated by the public. But it is not as strong as others in creative engaging narratives. I don't see the creation of writing rooms like in the UK and Denmark. Whether either system will create stunning programmes, the way DR has done in Denmark, is still very much up in the air. It is interesting that these 5 TV genres fit exactly the ones suggested in another report from the Scientific council (WRR) several years ago. And they are probably the only genres where public broadcasting still has influence. I don't envy anyone who edits those genres. They will have a really tough job. The rest of what we see on our screens here is going to come from mainly abroad, as Netflix and new forms of cable offerings take on the incumbent commercial broadcasters like RTL and SBS. If the split is really 300/300, then this will ultimately mean further cuts to the incumbent broadcasters in Hilversum, just after most have downsized already. Independent producers don't tend to choose Hilversum for their production/office facilities any more...the Dutch Media park operator TCN went bankrupt a while back because their business model assumed that all television is made from studios. Amsterdam is going to benefit more than anyone. It's easy to spot who's building the infrastructure there already, anticipating something like this plan is going to happen. Sadly, no-one ever mentions radio. It's heyday in Holland has long since vanished. The vision is "television". Anyone have a different scenario to share? 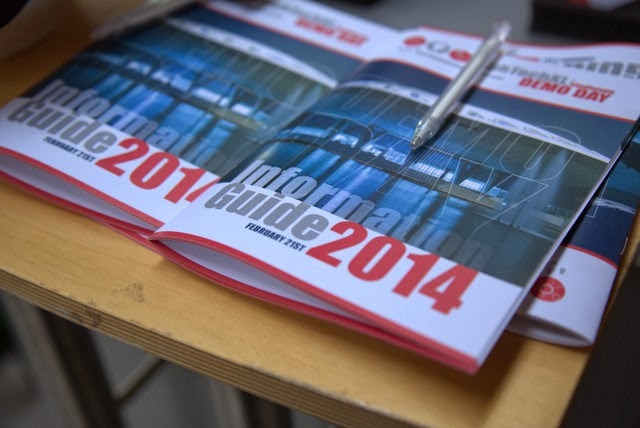 SME investors: Be a part of Africa's next great success story! from VC4Africa on Vimeo. Delighted to be part of the launch of VC4Africa Pro, a new service linking investors with brilliant early stage companies across Africa. VC4Africa has grown into a network of thousands in just a few years. It works because it's focused on trade not aid, and it's a genuine knowledge network. Now they're offering special services for investors who want due diligence on teams. VC4Africa is therefore building trust between parties, and it's going well. Excellent article about how radio, in some countries, is growing up. From shouting to sharing. The stories just get better. Had some useful, constructive feedback to the post at the weekend about why I believe TED Talks are a bad influence on many European startups. Several people pointed out that Steve Blank has just made a series of 10 videos for the Kauffmann Founders School. And, I must say, the first five are excellent. They seem to be taking the narrative about the Lean Start-Up into a new phase. Well worth watching. Do check out all the resources on Steve's home page. Other feedback pointed me in the direction of a video by Clayton Christensen about the dire state of US innovation. Prosperity seems to be the enemy of education, at least the beta-streams. In the meantime, my friend Gerd Leonhard has released another episode of "Meeting of the Minds", a pilot video discussion series made with Ross Dawson on several topical subjects. This included the rise of European entrepreneurship. Broadband TV news is reporting today that Belgium's Telenet is stopping its DVB-T service, the Belgian equivalent of Freeview. The public broadcaster will still be distributed by the DVB-T, but the rest (including distribution of Dutch public channels) will stop on March 31st. The operator says existing customers will get a refund to cover the costs of the receiver (140 Euro) and any remaining subscription. That's it then. Over and out. Telenet only had 18 channels, rather thin in this day and age. And several popular commercial channels were missing. Nick Piggott, who has been doing a lot of pioneering work behind Radio DNS posted this video today. I know what the video implies with seamless switching over to WIFI when you're inside a building with poor FM signal strength. But I don't think the average user understands. The text on the building is clever. But I believe a voice-over would have been more effective. What do you think?﻿ Update: Nick posted a full version. Better explanation. This little camera fell out of a plane and landed in a farmers pigpen. 8 million views on Youtube. So many pitches could be so much better! Because I have spent several days since September last year sitting through various presentations by young startup companies, most of them tech. Frankly, most of them were awful. And I know that none of these teams have yet got funded for a seed round (which is pocket money to keep you going for a few months). Let alone a so-called "Series A". In many cases, there is nothing wrong with the idea. The technology may be great. Far superior to anything I've seen in Silicon Valley. Their solution may have been validated by 10,000 people. But the team has put no effort at all in building a story that I believe and trust. After a particularly poor series of weak presentations this week I asked a few of the teams who had been their inspiration. After prompting, a couple of them said they'd been told to watch TED talks and copy the format. The reasoning from their mentors was simple. "If such talks attract people willing to pay 6000 dollars to go to a TED conference, then it must work for European startups struggling to find investors". TED has built a very successful performance platform. It's a strict talk format of either 18, 5 or 3 minutes in front of a invited audience. And it's billed as a stage to "share ideas worth spreading". And there are plenty of examples to show that it works. The TED blog is proud of its top-20 TED talks of all time, from among the sea of 6000 talks now posted online. There's no doubt that these talks are entertaining. They play with your emotion. Some even get you thinking. Except, that in the case of startups and their story, I believe it is really the wrong format. Because the audience of investors isn't interested in ideas worth spreading. They are looking for disruptive ideas worth doing. TED is a great festival of ideas. But it rarely leads to meaningful follow-up. Startups that copy TED usually come up with a product pitch disguised in the form of an elaborate world-changing story. There's a beginning, middle and an end. Maybe even a "thank you for your attention" at the end. Let's face it, most events are using a beauty contest format. Each team gets between 5 and 8 minutes to present their company and then pitch for funding. Most want money, but they don't explain what they're going to do with the investor's loan. They don't explain what how they're going to build a relationship with customers or citizens. I was left with the impression that all the team needed was money. I have also seen very slick presentations which fall apart as soon as you start to do due diligence on the company story (Googling on my laptop while they're still pitching). In the end, it's all show, but no real substance. I've mentioned before that there is a path forward. As John Hagel III pointed out last year blogpost, the stories that young companies tell are ineffective. They should be open ended narratives, explaining why those investors in the audience should get involved. Instead, the pitches are often a boast that a particular team who have been working together for a couple of years are more than qualified to wipe away the competition. Infact the audience has no real proof of the team dynamics. And often the core story is wrapped up in wild claims and stats which can't be verified at the moment of delivery. I've come to a point where I immediately draw a red line through any company that claims they are working in a billion/trillion dollar market. There are over 300 tech accelerators in the world, not to mention countless start-up prizes, conferences, competitions. So perhaps it is not surprising that many demo days are starting to look like the tired, endless talent shows that we see on European television. But just as interest in talent shows is waning, there's a danger that demo days need to develop as well. They are being trapped by their own routine. Yes, "demo day" is still important. But it needs to pivot itself. And I believe that the founders of the Lean Startup Movement believe change is now overdue. In the second part of the Forbes interview below Steve Blank says that he's concerned that not enough attention is being paid to the interaction between startup incubators/accelerators and investors. He points the finger firmly at "Demo Days". Most are too focussed on arranging the performance of a great pitch rather than assisting startups demonstrate to investors that they are really a viable company. There's a lot of shouting when information sharing is called for. And, in my experience, people never collaborate with those who raise their voice. Blank says he is going to address the issue later this year. I'm not going to wait for that. So we've formed the Critical Distance "guild" of those who see a desperate need for change. We're a group of individuals actively helping startups in several European countries with a different approach to building a company narrative; one that gives the audience of investors what they're looking for. Who else wants to collaborate? If you've made it as far as this, you're probably interested in doing something to improve our story-telling capabilities. Contact me (see the contact options in the right column of this blog). We need to fix this. Before the brilliant team's run out of patience. And money. Media Network.7.10.1992. AM Stereo; what went wrong? We're releasing another batch of vintage Media Network episodes which haven't been heard in this quality on the web until now. Explore more than 355 shows on line. This programme, broadcast in 1992, examined what went wrong with mediumwave (AM) stereo. I believe there are many reasons why. A lack of receivers was one problem. And a lack of standards. This news edition of the programme discussed your letters. We caught up on peace keeping radio, and the sale of Harry Helms shortwave website. In his farewell message, Harry predicted the demise of shortwave radio because they didn't understand the communications business. Of course, he was right. Fast and cheap web access is going each shortwave's lunch. We also had receiver news about Grundig. Grundig used to be a daughter organisation of Philips. This edition ot the programme recalled the old and new versions of the Radio Ham sketch made famous by British comedian Tony Hancock. Later re-recorded by Paul Merton and released in 1997. We also reviewed a new program called EuroDx from Jan Nieuwenhuis on Texel. There's also the annual crazy Media Quiz context with Jim Cutler. Don't try those numbers or email addresses today though. Lou Josephs has been looking at push content technology. Philips was putting a lot of money into Web TV. Love those descriptions of high-speed technology. It was someone's birthday during this show in 1999. Can't recall who. I do remember the feature on broadcasting in Congo from the late Richard Ginbey. I don't believe anyone had such a more complete collection of off-air recordings. Despite the fact that ham radio is over 100 years old, this hobby was still very much alive in 1999. 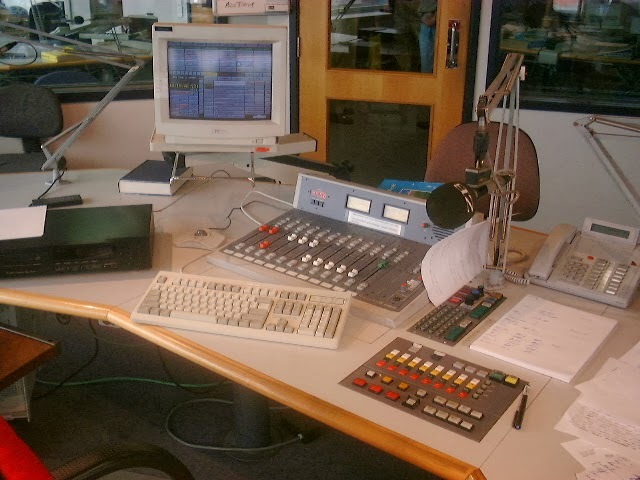 About 15,000 people in The Netherlands had a radio ham licence. The many aspects of this fascinating hobby are highlighted in this museum, which now even has a DIY corner for the youngest soon-to-be amateur radio operators. Diana Janssen and I were at the opening of this museum in Budel in February of 1999. 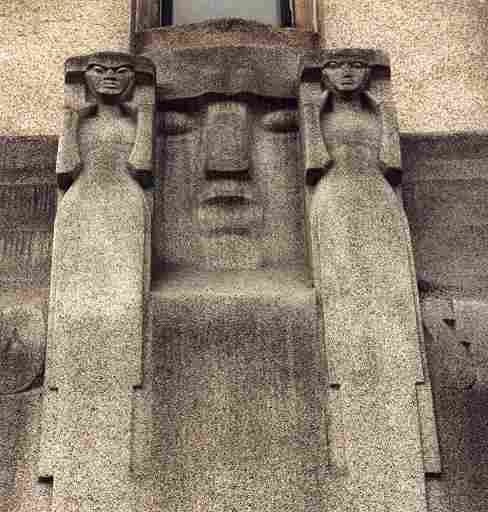 As of February 2014 I'm pleased to report the museum is still there, open twice a month. 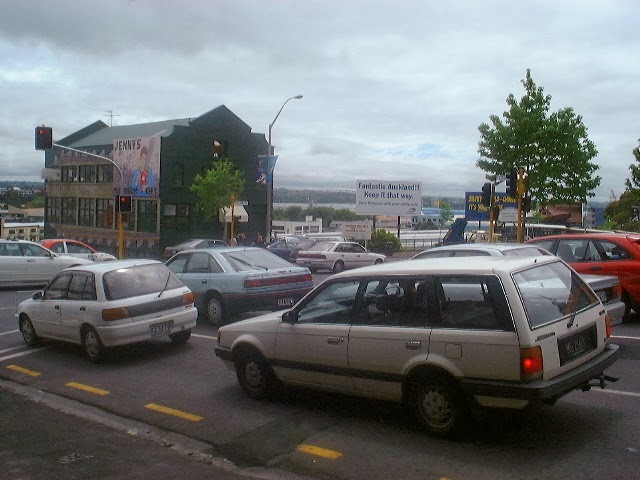 At the end of 1999 I made a trip to Australia and New Zealand. 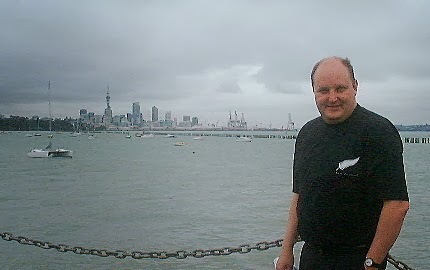 This programme includes an interview with Adrian Sainsbury, the technical frequency engineer at Radio New Zealand International. Feels like yesterday. 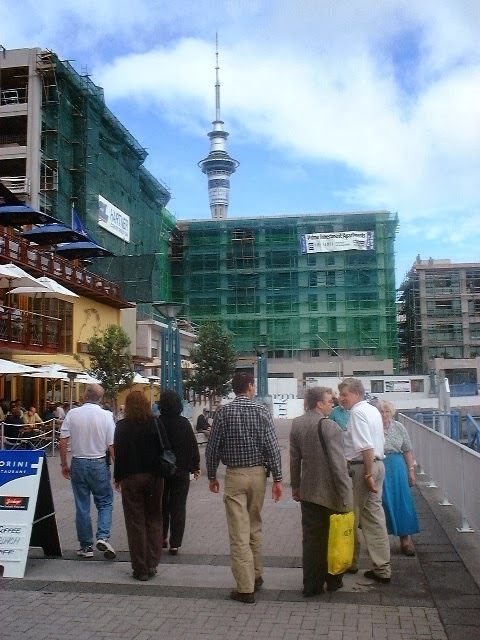 The photo shows Adrian when I met him on that trip to Auckland. Only had a 3 Megapixel camera in those days. This programme includes a contribution from Richard Jackson who was working in Bangkok at the time and updated us on what the radio scene sounded like at the start of the new Millennium. Thai radio was always difficult to hear in Europe. 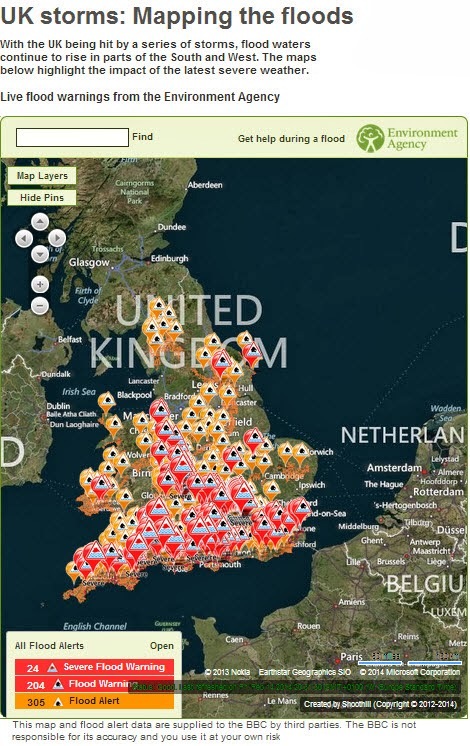 Now, many of the stations are available on the web. Like Radio Thailand's English Service. The website in 2014 looks like they haven't redesigned the site since we made this programme. 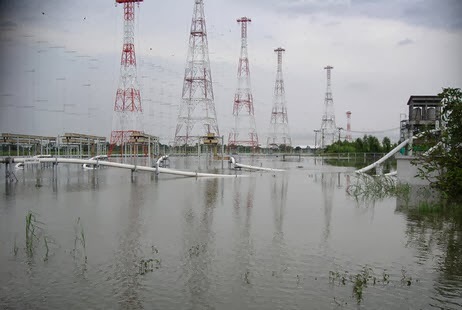 The photo in the blog is of the BBC shortwave relay station a few years back when it want under water due to flooding. Kind of ironic to be posting this today with all the wet weather in Europe. Remembering King Hussein of Jordan, amateur callsign JY1. This episode was recorded shortly after his passing in 1999. 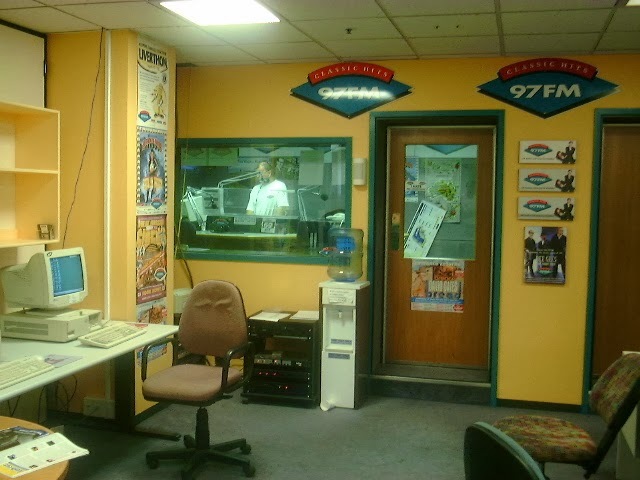 I remember driving to Radio Kootwijk for the final farewell of Scheveningen Radio on shortwave. It was ironic because the satellite video link broke down during the ceremony. This was the first show in for 1999. And Portishead Radio in the UK was also history. Remember listening to the ship-to-shore traffic on the marine band on an old R-107 receiver. In 1999, there was a lot of interest in listening to satellite transmissions and trying to overhear analogue links that probably were not meant for public consumption. In this edition of Media Network we talked to Dr Dish, a German satellite specialist who gave several insights in what could be done in those days. Hacking in the analogue era was so much easier. This is another episode on the Media Network radio series that ran from 1980-2000. We're scheduled to resume transmission shortly. Watch this space. More vintage editions of Media Network, as we count down to the programme's relaunch soon. This programme was very much an "island" edition of Media Network. 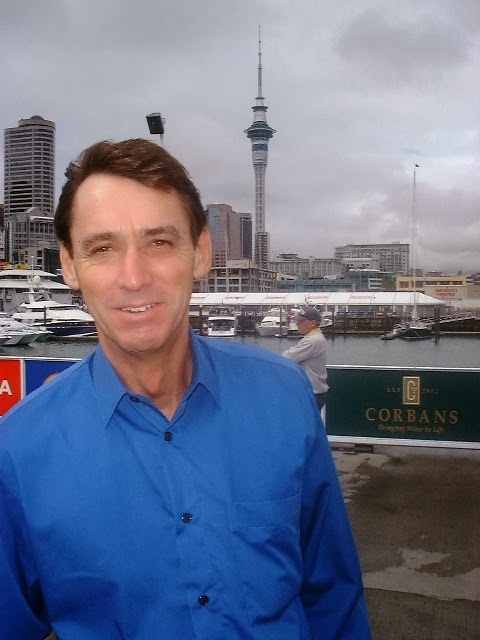 A station in Anguilla was testing and we talked to Barry Ferber, and Australian radio consultant who went in to Radio Fiji to shake things up. There's another chance to hear Jim Cutler's impossible radio contest. Martin Roos opens Talk Radio on 1395 kHz from Holland. VOA Europe now becomes VOA Express. Enjoy! This programme revisited a recurring topic; what is the future of radio? In 1999 it was clearly going to be DAB as well as the web. In other words, we thought it was going to go hybrid back then. It turns out we were right. This edition of the programme looked at major changes rumoured at the BBC World Service as well as Radio France Internationale. Radio Netherlands Bonaire relay station has been having delay problems. Jim Cutler also has the dig-deeper jingle which always brings a smile. I believe this is yet another example of how Radio Netherlands made maximum use of the resources sent in by its community of listeners. They were not letter writers, they were collaborators. The photo below shows the digital editors (Dalet) that we used to produce the programme on. 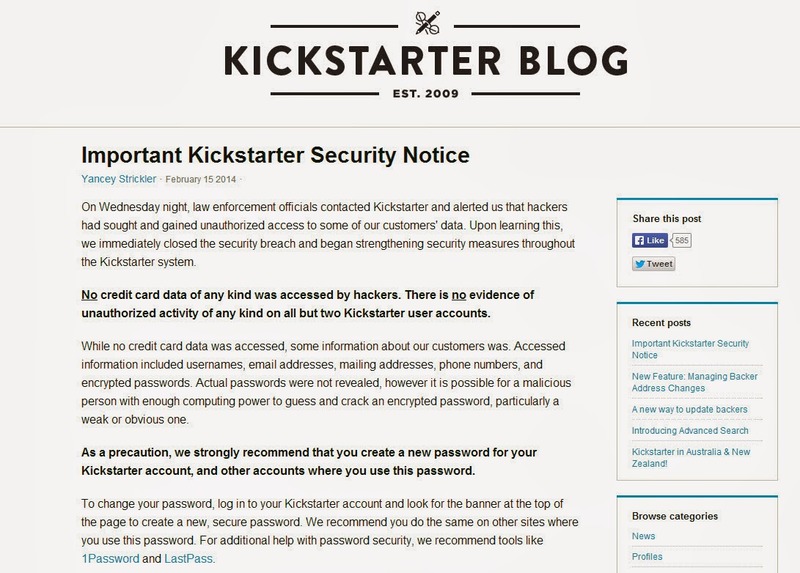 About time to change your password if you're a member of the site. Like, right away! What happened to the world's biggest radio factory? At one time, the world's largest radio factory was in Eindhoven, a city in the South-East part of the Netherlands. I've had the good fortune to explore it over the last couple of months. I'm fascinated by the old Philips radio factories which are gradually being turned into something completely different. I note that as you ride the lifts to the new apartments at the top of the building, the history of building has been painted on the walls going up. What a fascinating history - of radio. Love this musical adventures on Youtube. Cdza stands for the Collective Cadenza, a great community of performers in New York. From surprise performances on the street to great compilations. I'm just 200 km from sheer mayhem. Is Britain just a shield for the Netherlands? Where's Bloomberg's Africa TV Channel? It was a year ago that Bloomberg announced the launch of this Africa channel with studios in London and Lagos. Wonder what's causing the delay? So if you donate to the campaign, they make you an ambassador. As you may know, I am disappointed in UNESCO's World Radio Day. It's an archaic idea, reminiscent of May 17th "celebrations" of World Telecommunication Day. And I've no idea where the UN Secretary General is trying to take it. Did you watch it all the way through? It is tough isn't it. That explains why only a couple of hundred people did so. So switch it off and listen to the Earshot Creative Review with Steve Martin. Now this is a celebration of why good radio shines. Good radio is not in trouble. It doesn't need to be saved. It just needs sufficient investment to stay creative. Or you get this. And radio needs to regularly break its own routine. So go out and discover great radio every day. Not just on February 13th. Labels: UNESCO Paris clueless "wasting public funds"
This group of Russians film themselves at the top of famous buildings. Like the Shanghai Tower (650 metres high). I guess this is one Go-Pro style video which won't get on Russia Today. They are completely crazy! Bumped into this unlisted video on Youtube made last summer to explain the international audiences to the BBC World Service and BBC World News. It is number crunching on steroids. But what it is really saying? The BBC is influencing 1/4 billion people once a week or more? Sounds a bit too much like the Facebook claims. And remember the context is becoming far more important than just the content. In short, these kinds of numbers help to impress politicians. But they say very little about the quality of the conversation. That's partly because the quality of the BBC's competition, in most of the target areas has gone from bad to worse. Rolling TV news channels killed investigative journalism. So now the best news you can use is not appearing on broadcast news channels. I see Go-Pro has chosen Munich for its European HQ. Just love their business model. Empower users to make great stuff. I have been a fan of the Pixelcorps approach for years. Alex Lindsay led the development of a media guild which now does excellent media training at a college in Rwanda. Basically, they are empowering local people to tell their own stories, building a media economy in the process. They focus on video production training for both live collaboration as well as video documentary making and advertising. This also teaches the young teams in Rwanda to not only produce engaging stories. It also empowers people with media literacy - they are much better able to judge a story and "read between the lines". In a world where all kinds of hate media are still around, this kind of knowledge sharing and collaboration is definitely the best path forward. Rather than being an aid agency, Pixelcorp is more of a "trade agency", helping local media businesses to grow and make their own stories. Pixelcorps has also built extensive experience around collaboration tools used for live events, shaking up the world of both live news coverage as well as special international events. They're pioneers of Google Hangouts taking what was a very inferior product and turning it into a real alternative to traditional satellite feeds. In doing so, they're developing new forms of storytelling and collaboration. My company, Critical Distance, is following in Pixelcorps footsteps but then from a base in Europe. This path is disruptive to many of the media for development agencies here because they have been very focused on information campaigns, pushing information to local populations. In many respects, Pixelcorps is working the other way round - ensuring local teams get access to relevant information - and that their stories also get heard in other parts of the world. They also understand that broadcast has long since lost the monopoly of influential storytelling. Has the NSA really taken over? 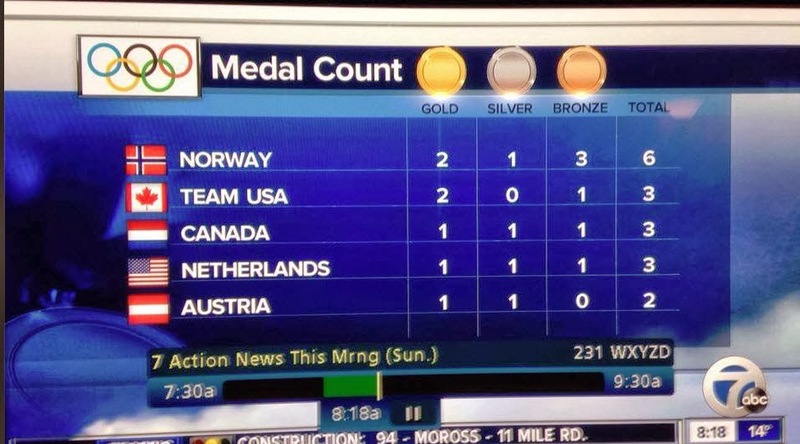 ABC television seems to think they've changed the flag flying over the Hague. Bit worried about Canada too. Some interesting points about trust in the media in this Edelman presentation of Trust in 2013. I thought it was a better video last year than the one they made in 2014. But the slideshare story in 2014 IS interesting. Note that the trust in media continues to slide. And that there are huge regional differences (to be expected). I guess they are using blue-tooth low energy beacons to provide a really useful service for drivers. They are improving your driving skills - and indirectly helping you to save petrol. Clearly a disruptive company to watch. So where is the European startup working on the same idea - perhaps for truck drivers? Our gas prices are outrageous. So GoPro has announced its IPO. They have certainly disrupted the compact high-quality camera market. Bet they're work a billion dollars. They have built a loyal, active community of content makers around them. The trick now will be to keep that passion and grow it. Beware of those, like Sony, who didn't. Could archiving answers be in our DNA? I am looking for disruptive ideas connected with archiving, I stumbled across this article in Last January's TIME magazine. Most of the sound archives I have explored are rotting. The cassettes and vinyl were never designed to store things indefinitely - usually only until something better comes along. May be it is not silicon, but DNA we should be thinking about. After all, DNA is one of the few ways of finding out about the life of dinosaurs. Would love to discover what happened next. One night a few years ago, two biologists sat in a bar in Hamburg, discussing DNA. Ewan Birney, the associate director of the European Bioinformatics Institute, and Nick Goldman, a research scientist there, were wondering how to handle the tsunami of data flooding the institute, whose job it is to maintain databases of DNA sequences, protein structures, and other biological information that scientists turn up in their research—databases that are growing exponentially, thanks mostly to dropping costs and increased automation. The maintenance of all this data on hard drives was pressing their budget to the breaking point. Three years later, the results of that bar stool inspiration have been published in Nature, in a paper in which Birney, Goldman and their collaborators report using DNA to store a complete set of Shakespeare’s sonnets, a PDF of the first paper to describe DNA’s double helix structure, a 26-second mp3 clip from Martin Luther King, Jr.’s “I Have a Dream” speech, a text file of a compression algorithm, and a JPEG photograph of the institute. You may not be storing your personal data on DNA anytime soon—the process is time-consuming and expensive, and there’s the small matter of needing a DNA sequencer to open the files—but as the costs of making and sequencing DNA continue to plunge and as computer engineering approaches the limits of just how densely information can be encoded on silicon, such biological data storage be just what’s needed for institutes and other organizations with massive archival needs. I note that these biologists encoded a short mp3 clip as part of the project. I wonder if it had any radio connection. People forget that Heinrich Hertz was born in Hamburg. The NSA answers back. But where does this leave us foreigners? Forget the coverage on Network TV. These insights into the NSA affair at a WSJ event, as seen from the former NSA director, Mike McConnell speak volumes. Where does it leave us "foreigners" in old Europe? Can we ever trust the open Internet again? And US communications corporations? When it comes to industrial espionage, China is ahead of the pack, with Russia and France being mentioned too. So many questions. So few coherent answers. Especially if you're not American. I wonder if Radioshack can re-organise in time? Long since gone out from European shores. And their rivals retreated to on-line sales with a couple of big warehouses. Do you still need a physical store to keep those components for the projects you'll never find time to build? The disappearance of home constructor magazines like Practical Wireless was the signal for me. I always associated a visit to a Radio Shack in the 1980's with being asked for a zipcode so they could send me a catalogue. Or join the Radio Shack battery club. I see that immediately following the Superbowl ad above, they're closing an estimated 500 of the 4500 company owned Radio Shack stores in the US. That's still a lot of stores for appliances I'd probably buy on line. What most people don't realise is that there are a whole set of these commercials using 80's characters to explain today's technology. This one about 3D printing is bizarre. What's the message here? Use a 3D printer to break into other peoples' houses? I'm wondering if Philips was involved in the campaign. Several sequences feature someone playing with iPad controlled lighting, which I guess is Philips Hue.